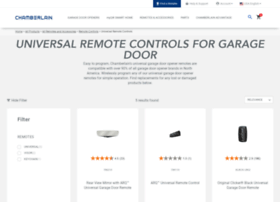 Chamberlain offers a variety of universal garage door remote replacement products. Purchase a universal remote replacement or find a keyless entry system. Owner: The Chamberlain Group, Inc.